The project will be the tech entrepreneur's personal challenge of 2016. In this file photo, Facebook CEO Mark Zuckerberg speaks at the F8 summit in San Francisco, California, on March 25, 2015. 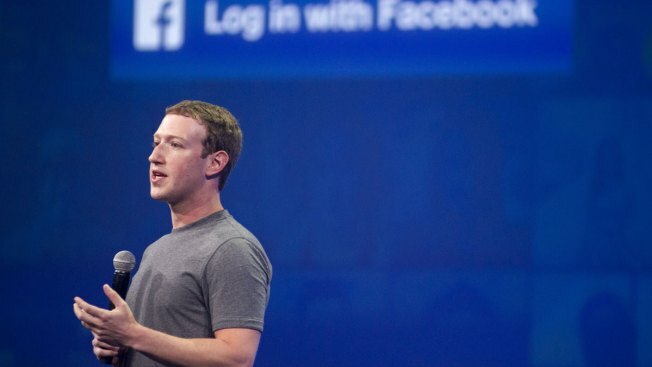 Mark Zuckerberg's goals for 2016 are certainly ambitious. In the past, the Facebook CEO challenged himself to read two books a month, learn Mandarin, or meet someone new every day. This year, he wants to build a robot. The tech entrepreneur took to Facebook on Sunday to announce his plans to build artificial intelligence in his California home. Zuckerberg said he envisions his AI to be "like Jarvis of 'Iron Man,'" though he has yet to give it a name. He said the project will be his "personal challenge of 2016." "I’ll start teaching it to understand my voice to control everything in our home — music, lights, temperature and so on," the Facebook founder wrote. "I’ll teach it to let friends in by looking at their faces when they ring the doorbell. I’ll teach it to let me know if anything is going on in Max’s room that I need to check on when I’m not with her." Max, short for Maxima, is Zuckerberg's newborn daughter with wife Dr. Priscilla Chen. The new parents have been posting cute pictures of the baby since her birth in November. Commenters on the post were positive about the Facebook founder’s goal. Some shared their own resolutions, like beating cancer or simply cleaning the house. "And here I am just hoping to organize the walk-in closet," wrote one self-deprecating commenter. "In a few years maybe you’ll have a robot to do it for you," the Facebook CEO blithely responded. Zuckerberg answered many of the comments, mentioning his forthcoming plan to beam the Internet down to cities from solar-powered planes, and clearing up still-circulating rumors that he's giving away his fortune to users of the social media site. His reply to one user garnered nearly 20,000 likes. The commenter said she keeps telling her granddaughters to date the nerd in school who "may turn out to be a Mark Zuckerberg!" "Even better would be to encourage them to ​*be*​ the nerd in their school so they can be the next successful inventor!" Zuckerberg replied.